It’s D-day for the return of The Roar, and its student staffers are raring to go. After a 10-year hiatus, the Northview High School student newspaper is back, albeit in digital form. And here in adviser Betsy Verwys’ classroom, staff members gather after school to plan for its debut the following day, Nov. 17. They’ll return at 7:15 a.m. ready to love-bomb students with their first marketing tool: bags of Pixy Stix. Two dozen students have made it their mission this fall to restore The Roar, formerly published as a print paper until being discontinued in 2006 with the retirement of longtime adviser Jim Rex. They’ve done so as an after-school journalism club, as part of a plan to launch for-credit journalism classes next fall and solidify The Roar’s revival. Though enthusiastically embraced by Verwys, the project was student-initiated. Senior Isabelle Luke brought the idea to her last spring after noticing her school lacked a student paper. “Hopefully having one will give other students the opportunity to be a part of something and have their voice heard,” says Isabelle, co-editor in chief along with senior Karen Underwood. They and other staffers made their voices heard loud and clear in the stylishly presented first issue. It featured storiesranging from the high school marching band’s third-place finish in the state finals and a blood drive run by Students Against Destructive Decisions, to anti-Trump protests in downtown Grand Rapids and an analysis of how the polls got the election wrong. Students responded in a big way to The Roar after Isabelle’s proposal was approved by Principal Mark Thomas. 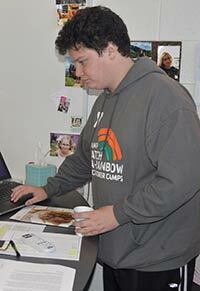 More than 80 applied for the club, with the final 25 being chosen by Isabelle and Karen. Those two went to a digital journalism workshop at Central Michigan University, and other students attended a CMU program this fall; Verwys plans to take the entire staff next June. 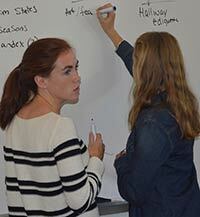 A group also attended School News Network’s inaugural week-long journalism camp in July. 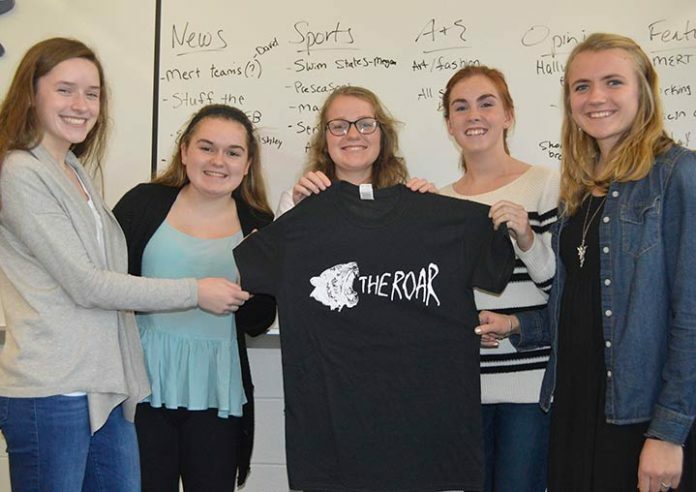 For its student staffers, The Roar affords an opportunity to gain experience in writing, editing and design. Though they don’t necessarily plan on journalism careers, they relish the chance to cover events and trends in school and beyond. The Roar’s writers aim to broaden readers’ awareness. The first issue included stories about the aftermath of Hurricane Matthew and how the Electoral College works. Coming off an ugly election driven by relentless media coverage, staffers take seriously their role as gatekeepers of reliable information. Like their professional counterparts, Northview’s student journalists quickly learned that with publication comes responsibility. After receiving approval for the venture by Principal Mark Thomas, they were given a copy of the school district’s bylaws for school-sponsored publications and productions. It prohibits publishing stories that are inadequately researched, biased or profane. However, Verwys assures staffers the policy shouldn’t make them timid.